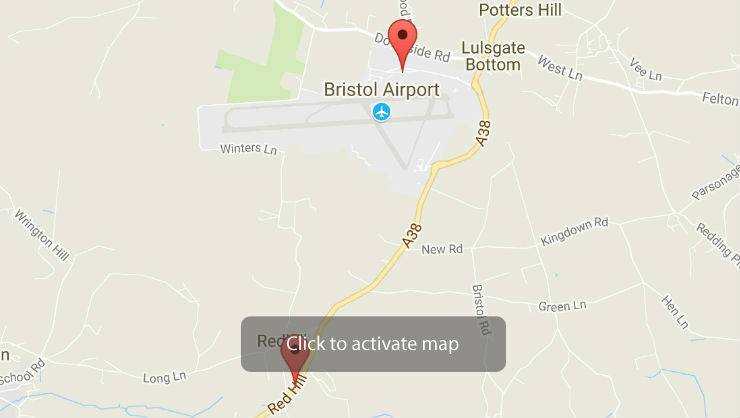 Take out the stress of travelling with a stay in a Bristol Airport bed and breakfast. Gone are the days of waking up tired and worrying you might miss your flight, as a stay at bed and breakfast ensures you wake up feeling refreshed. 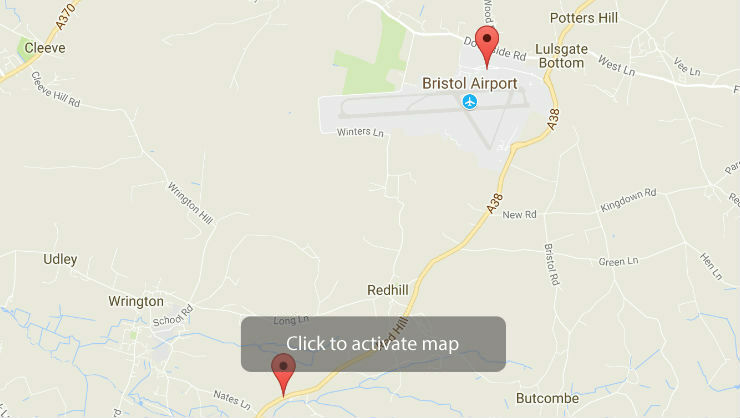 You may also be interested in our selection of Bristol Airport Hotels too! View our picks below of some of the most recommended B&Bs near Bristol Airport! Located in two stunning acres of picturesque gardens, Redhill House Hotel is a chic 4 star boutique hotel. Boasting 9 unique and luxurious bedrooms, this hotel is both exquisite and convenient. Breakfast is included in the price of our Airparks deal, and is either a Full English or continental. Continental breakfast is served from 4:00am - 9:30am, and Full English is served from 7:00am - 9:30am. Redhill House with Parking at the Hotel - this handy package includes parking at the hotel for the entirety of your trip, and you will be getting to the airport via taxi transfers. When you arrive at the hotel, check in at reception and confirm your taxi transfers (these need to be booked with the hotel in advance, once you have completed your booking). The taxi costs £10.00 each way, and take 5 minutes. A family-run bed and breakfast, Hailstones Farm is a friendly, modern B&B that is proud to have been awarded a four star rating by Quality in Tourism (the only guest house near Bristol Airport to have done so). Although close to the airport, the guesthouse is not on a flight path - so you can enjoy a comfortable night's sleep. Continental breakfast is included in the room rate from 8:30am - 9:30am. Full English on request is between 8:30am - 9:30am at an extra cost. Please note that this hotel is not part of any Airparks deals, and your room and Bristol Airport parking need to be booked separately. Conveniently located just a 6 minute's drive from Bristol Airport, the Holiday Inn is a modern hotel that comes with all the contemporary amenities, including air conditioning and free WiFi. Breakfast is served daily from 4:00am (continental) and 6:00am (Full English). The continental option is £7.95 per person, and the cooked option is £12.95 per person. Holiday Inn with Silver Zone Parking - includes parking at the hotel overnight (included in price of your stay). 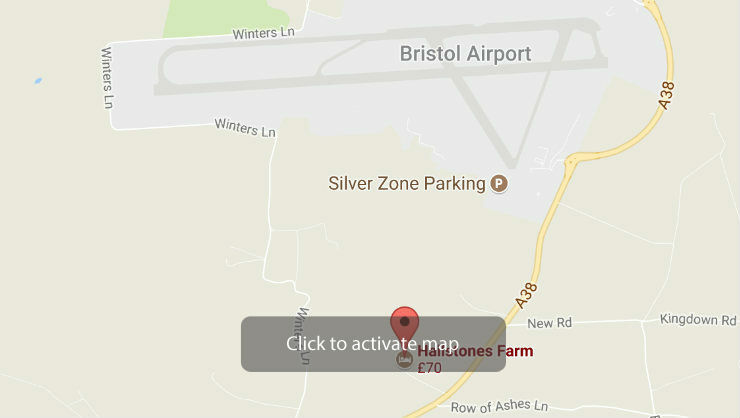 Once you've checked out the next day, you need to drive to the Silver Zone car park (directions are included in your confirmation email). The Silver Zone car park has an airport transfer bus, which runs 24 hours a day every 20 minutes (included in the price). The journey takes 5 minutes, and upon your return you need to catch the shuttle back to car park. You can book an airport shuttle bus at the hotel's reception. The bus runs whenever it's needed, 24 hours of the day. It costs £4.00 and takes 7 minutes. Winston Manor Hotel is a traditional Victorian bed and breakfast set in nearly two acres of grounds near to the Mendip Hills. There are 14 en-suite rooms, including an impressive four poster and large family room, as well as a hotel bar and lounge. When you wake up, you can enjoy a Full English breakfast of bacon, sausages, mushrooms, eggs, and toast cooked to your preference, or lighter continental options such as toast, cereals, fruit, and preserves. 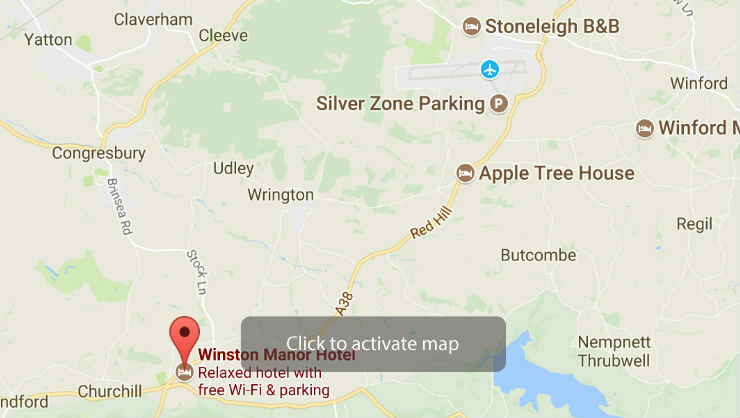 Winston Manor currently isn't sold with Airparks, so you will have to book your B&B reservation and Bristol Airport parking separately.